Your road looks the perfect hill climb road event! Great shot of little blue and the curves in the road, love your scenery too. Lovely car and love the colour - nice composition too! What a great capture. Love it. Great action right outside your gate! Love the curve in the road and that fabulous car and driver. Do you have a way to share the photographs with the driver? I know he would love them. A nicely composed shot - I love the curve in the road. 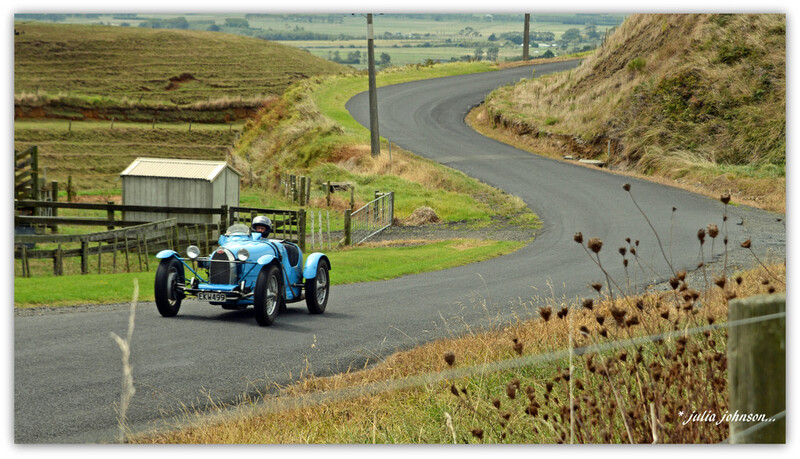 @louannwarren I can put some photos on the MG Car club FB page.. must do that..
Super shot. I love the car and the curved road!